There’s a new baby in the Hardict household. Tia Mowry-Hardrict of Sister, Sister and The Game fame recently welcomed a new bundle of joy. The actress had a baby girl nearly two months ago after struggling for years to get pregnant. While she announced and captured specific moments of her postpartum journey and life adjusting to with the new baby, the little girls’ name and face have not been revealed until today. Tia, and husband, Cory Hardrict, have named their daughter Cairo Tiahna Hardrict. She has the same initials as her older brother, Cree, who is 7 years old. 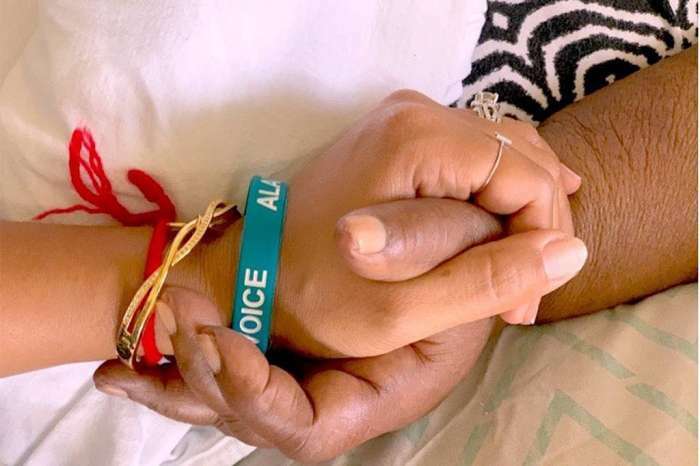 Tia explained that Cairo “basically means ‘victorious,'” while the spelling of the baby’s middle name was expressly meant to include the letters TIA after her mother. Tiahna means ‘follower of Christ’ and also happens to be the name of the first black Disney princess in fan favorite Princess and The Frog. Tia has been very open and outspoken about the struggles she’s had to endure in order to get pregnant. She’s suffered from endometriosis for years and credits changing her diet and lifestyle with being able to get pregnant again. The actress and online personality has also opened up about her post-baby body. While so many celebrities have amazing and near instant transformations, Tia isn’t one of them and she’s completely fine with that. In fact, two months later she still has a belly and knows that is okay. “Snapback” culture can cause some people to focus on things inconsequential and unimportant, like weight, instead of the grand miracle that a woman housed and grew a baby in her body for almost a year. Tia isn’t worried about the baby weight coming off, she knows that it will in its own time. For now, she’s treasuring and cherishing all the newborn and little baby moments that fill her days.